British School of Beijing, Shunyi (BSB, Shunyi) is a wonderful example of how project-based learning can be implemented in a variety of ways. Throughout the school this new approach is engaging students in new ways of learning, which will help them meet the increasing demand for well-rounded learners and the unknown requirements of employers of the future. One difference we discovered in the way that project-based learning is being implemented at BSB, Shunyi is that in primary school it is used in most lessons, giving these early learners the responsibility of coming up with ways to gain proficiency in core subjects by tackling real world problems. This in our opinion is a concrete way for students early on to understand the benefits of learning rather than it being an abstract activity, to which there is no apparent purpose. This can be an especially daunting time for early learners. If they are given the freedom outside of the classroom with their homework to develop themes and problems to solve in their own time, instead of just using the “complete section 3 of chapter 12” approach, then the effects of nightly homework can become immediately tangible and more appreciated. The fact that independent and project-based learning is slowly becoming the mainstream in educational institutions around the globe does not mean that the current system is necessarily broken, but in many ways it is in need of some modification to adapt to the new requirements of life in the future. To this Puttock’s response was that “the true marker for change in educational systems around the globe will come from what top companies are looking for when they are hiring.” These requirements for future workers subsequently trickle down from these companies and are fed into universities, then secondary, and primary schools. For young learners, thinking about your child’s career and their future employability might seem a long way off, but it’s never too soon to start preparing children for the very different world ahead of them, and tech companies are leading the way in mapping out this unknown future. When Puttock first arrived in Asia four years ago, this wasn’t the case and exams and grades were still the primary focus. But, recently he believes there has been a big shift taking place, and educators the world over are beginning to favor new methods that have been making a significant difference in creating the confident and creative employees of the future. Whether it be in primary school, International Baccalaureate (IB), or the STEAM program, project-based learning concepts are actively being incorporated to grow the next crop of engaged learners. One recent success story demonstrates how presenting students with real world problems in the project-based learning framework is changing things for the better. Nord Anglia Education has just formed a partnership with UNICEF, and they are working with them to help develop their United Nations Sustainable Development Goals. Each year now, they’ll be setting a challenge based on these goals which include ending poverty, ending hunger, ensuring healthy lives, achieving gender equality, and conserving and sustaining our oceans. 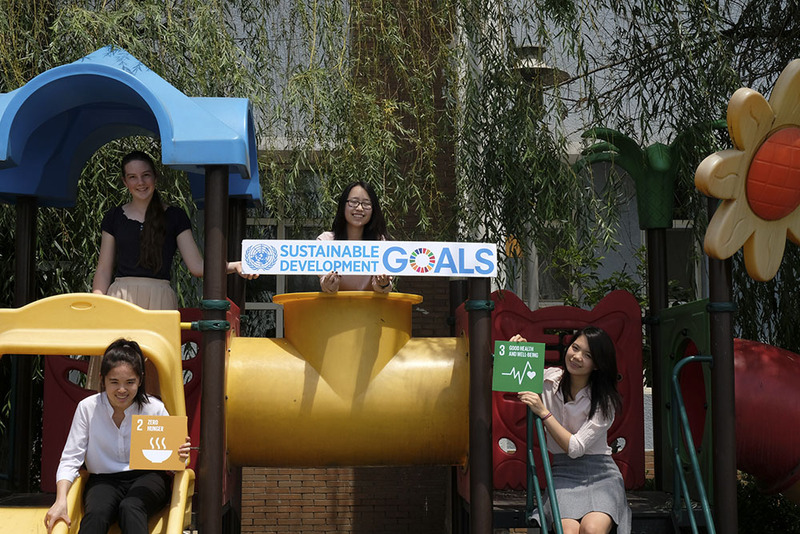 Tildie, Helen, Sunny and Sabrina, a gang of four brilliant IB students, decided to join in the effort of helping Grade 9 and primary school students develop projects based on these Sustainable Development Goals for UNICEF’s High Level Political Forum 2017. Like all IB students, they needed to complete a Creativity, Action, Service (CAS) requirement, and their supervisor for this very open-ended aspect of the curriculum told them that there was a great opportunity to represent Nord Anglia Education at this UNICEF conference at the United Nations in New York City. With their combined past experience in Model United Nations and the debate team, they were the perfect addition to help guide the younger students. They worked closely with their schoolmates and developed ideas to creatively respond to these issues related to hunger and health. One was learning about compost bin systems and building one on campus, while the primary school kids created a garden on campus to grow vegetables to be used in the school’s cafeteria. What started as a simple but worthwhile assignment has turned into a life-changing experience for these students and brought them to the UN, from July 10 to 19. This unique opportunity gave them a platform to contribute to the discussion and influence policies at the highest level. While this sort of cooperation between Nord Anglia and the UN allows students to use their project to learn about these important issues affecting countries worldwide, it also takes these concepts outside of the classroom to provide a channel for young people to communicate ideas and influence policy makers from around the globe through organized debate. As active members of BSB, Shunyi’s Model United Nations, when they return to school in the fall they plan on using this experience to create a Model UN summit at the school. This will help build another student-led experience that is sure to benefit all who are involved, continuing the enrichment of the student population with the authentic, real world experiences which are the basis for a 21st-century education. 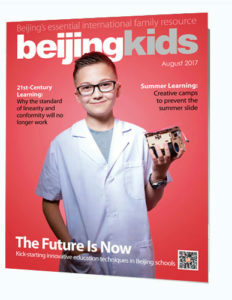 This article originally appeared on p 52-53 of beijingkids August 2017 issue.